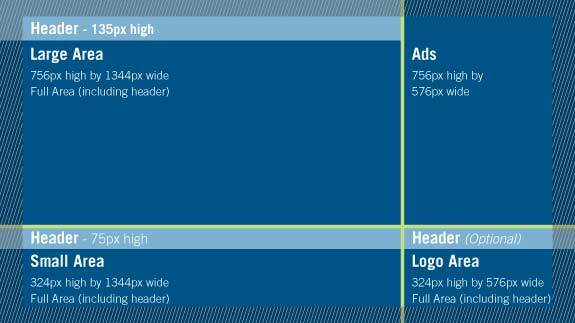 Summary; Insteo has very specific zone sizes, designed to make content legible and to keep your screens looking great. These sizes are outlined below. Insteo's zoning is different than other Digital Signage - our Apps are built by our award winning design team to fit very specific proportions and sections of the screen. 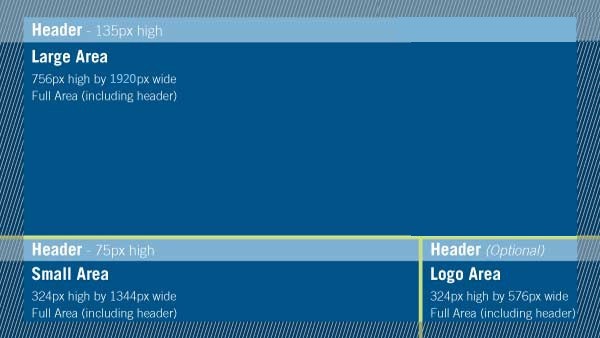 This means when you work with our design guidelines you will get legible and easy to view screens. We don't do tiny type in little text crawls! Our team has created our zone sizing with your viewers in mind. 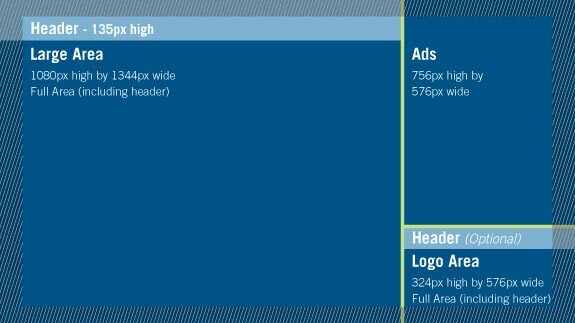 This layout provides a static logo area, along with a small Ad rotator. 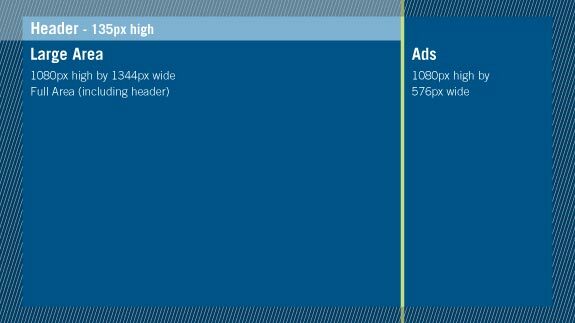 The Large Content area is 16:9 for including videos or scaled down Apps. Below that is a “Lower Third” area for Social Feeds, etc. This layout provides a full height ad rotator area, along with the standard Large Content and Lower Third. This includes a logo area and the small ad, along with a full sized content area for 4:3 content. This includes a logo area and lower third area, along with a full sized content area. 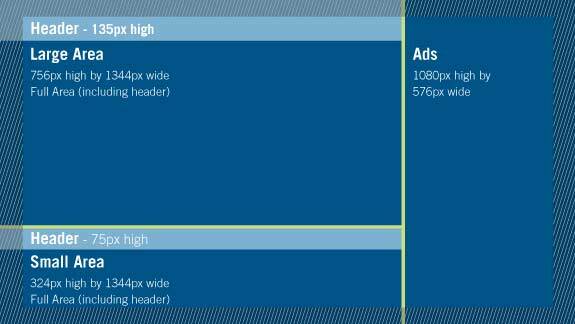 Splits a portrait screen with 3:4 content on the top, and a large Ad rotator area on the bottom. 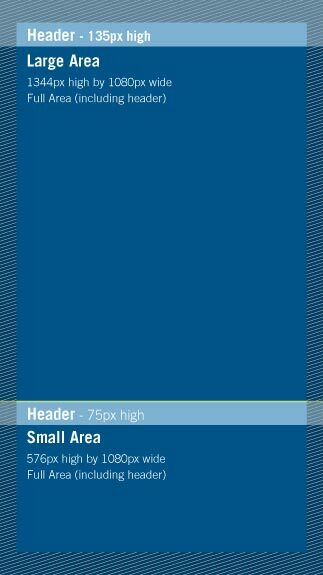 *Note: Keep important design elements out of the bleed area or they might get cut off depending on individual screens.